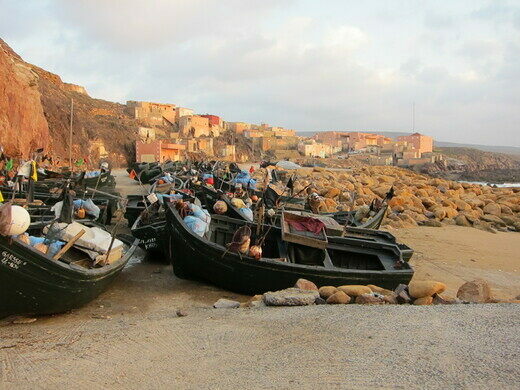 Somewhere south of Gourizim is the tiny fishing port of the village of Sidi Boulfdail. While not on many maps - and largely without an Internet presence - the port can be recognized by the large government gate visible from the road. The port consists of a cluster of pastel fisherman’s shacks stacked upon each other and a modest boat launch, but it’s a nice place to stop and take in the smell of fish guts and brine. The smell, pungent and inescapable, forces memories of Melville or other 19th century seaside settings. In the late afternoon, the atmosphere is neither hostile nor assertive, but it’s probably a good idea to poke around after most fisherman have retired for the day. 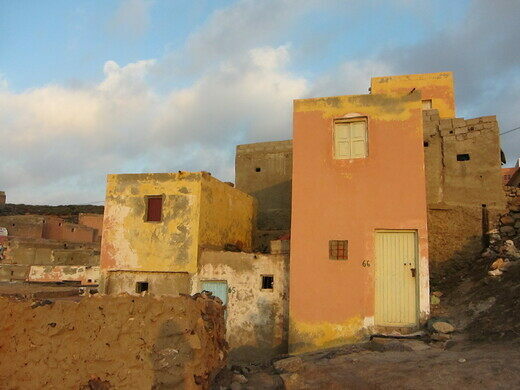 Sidi Boulfdail is at the published coordinates north of Gourizim, but pretty sure the village with the briny smells is not called Sidi Boulfdail. 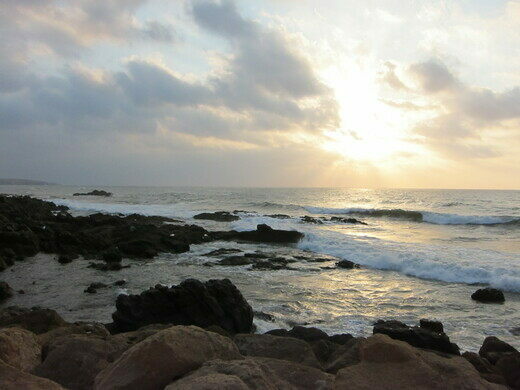 Rocky Atlantic beach home to a stunning stone arch. This cascade of mineral-rich hot springs and waterfalls is an oasis in the Jordanian desert.